This highly detailed hand painted kiln fired church window is truly a masterpiece. It was removed from a church in England some years ago. A small amount of professional restoration has been carried out which has brought the window back to its former glory. 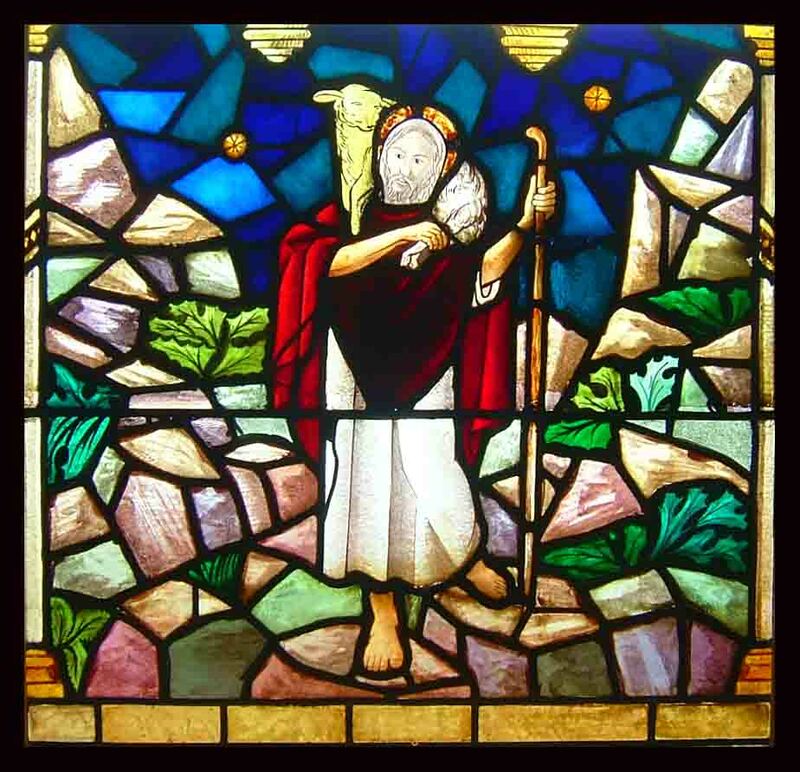 It represents a wonderful example of leaded church glass. Highly detailed painting, bright vibrant colours. Dimensions are:- Frame 37 1/4"W x 36"H Glass 34 3/4 x 33 3/4 You can buy this now by clicking on the credit card icons (Paypal if you prefer) below the photograph or e-mail sales click here to arrange payment by personal check ,money order or bank transfer.